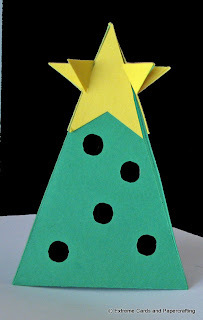 Yes, you guessed it, the mystery paper craft project is going to be an advent calendar. 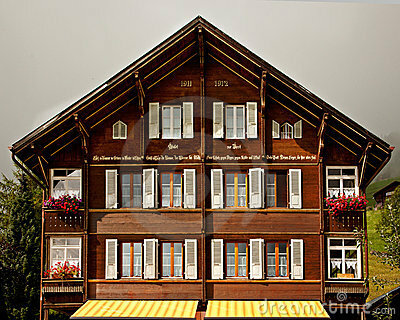 The design consists of 24 or 25 matchbox type boxes, stacked into a 3D house. Depending on how you stack the boxes, you can make a chalet type gingerbread house (a cube), or a farm house (a rectangular prism). My 25 box gingerbread advent calendar house is still in progress. 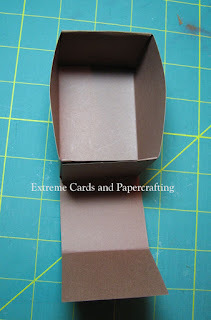 If you want to work along with me, start making your boxes! 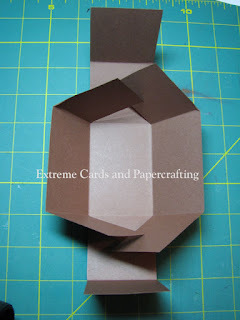 Small boxes are 3" deep, 2" wide, 2" tall. 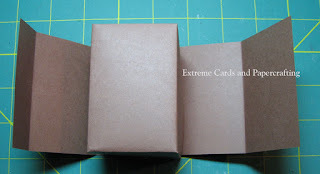 Large boxes are 3" deep, 3" wide, 2" tall. For the 24 box gingerbread house, or the 24 box farmhouse, make 12 large boxes and 12 small boxes. 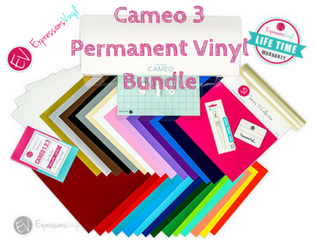 You need 23 sheets of 12"x12" card stock. 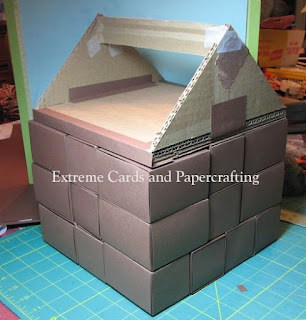 For the 25 box gingerbread house, make 10 large boxes and 15 small boxes. 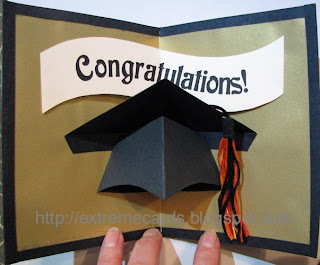 You need 24 sheets of 12"x12" card stock. 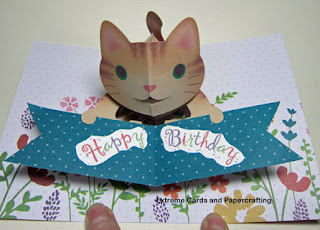 I bought a couple extra sheets of card stock in case I made a mistake! 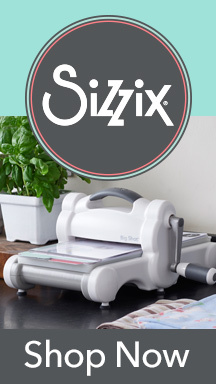 Download file set: PDF, Silhouette Studio, SVG or hand draw using diagrams below. 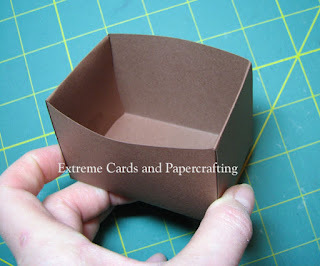 Box files should be sized to 11" tall. 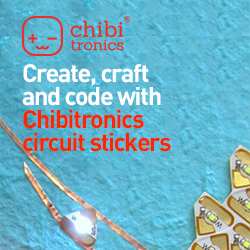 Patterns/cutting diagrams/files are free. A huge thank you to the many readers who support my site with a small contribution. Pay what you wish for the tutorial and to support this site. Suggested contribution for this project is $2.99. 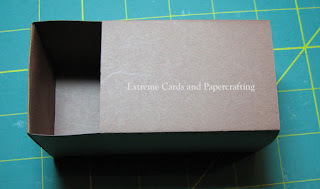 Cut boxes by machine using the downloaded files or hand cut. 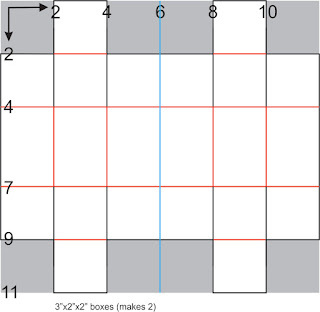 If hand cutting, refer to diagram and all directions below. 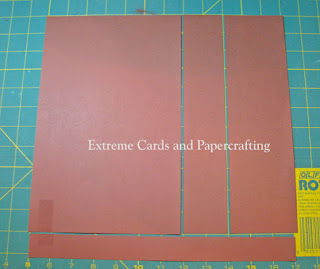 If machine cutting, skip down to "assemble small box", starting with "crease score lines." All measurements are taken starting from the top left-hand corner. For example, where it says 7, that means the line is 7" down from the top edge. Black and blue lines are cut lines; red lines are score lines. Cut away grey squares. 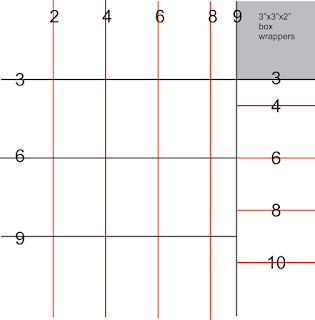 This sheet makes two boxes. 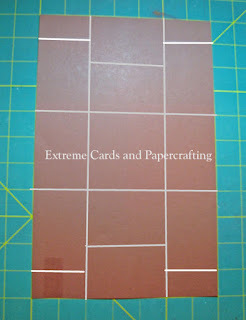 Score vertical lines at 2" and 4"; 8" and 10". 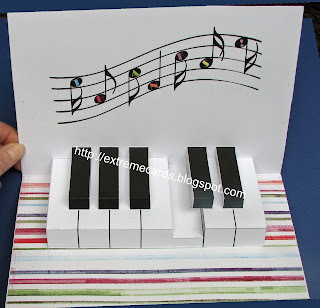 Score horizontal lines at 2", 4", 7", 9". 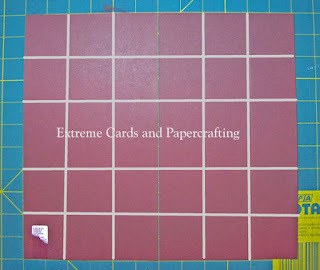 Cut horizontally at 11" down (cutting off the bottom 1" of the card stock sheet). 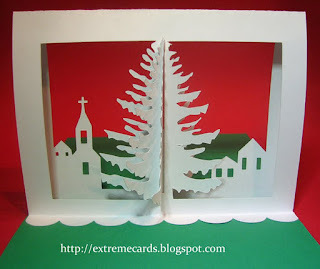 Cut vertically at 6", cutting the card stock into two equal pieces. It will look like this. Each half makes one box. 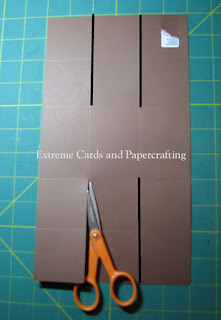 If hand cutting, cut the four 4" long slits as shown. 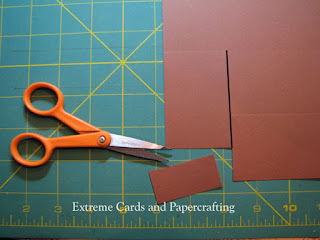 If hand cutting, cut off the four corner squares and discard. 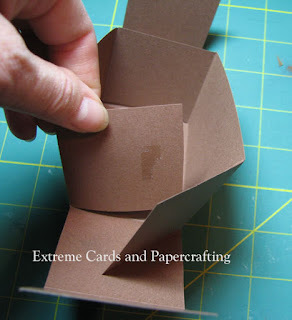 Trim the edges of the box flaps a tiny bit at an angle, ending at each fold. 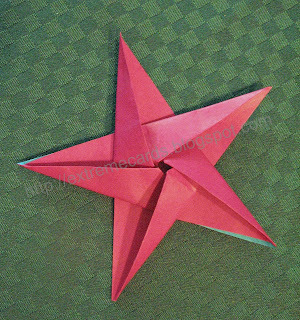 Fold the side edges up and toward the center, overlapping the flaps you trimmed. 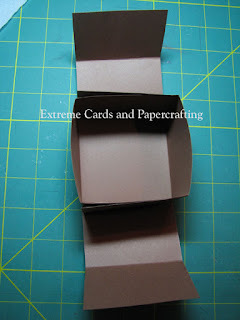 Push the end of one flap into the corner created by the other flap, making the box corners tight and straight. Hold flaps in place with a little bit of adhesive. Add adhesive to the back flap. 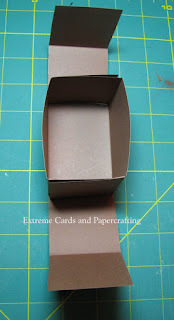 Pull the flap up and over the end of the box, aligning the sides of the flap with the edges of the box. 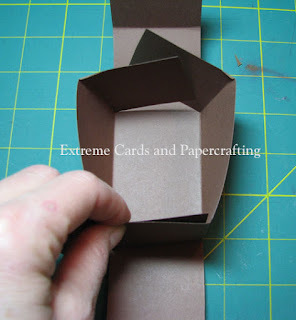 Tuck the flap into the box and adhere to the inside of the box. Adhere the front flap in the same way. 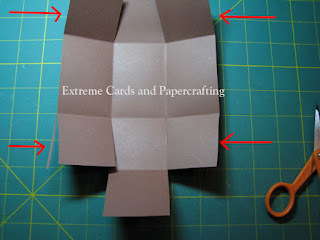 If hand cutting, refer to diagram below to cut wrappers. 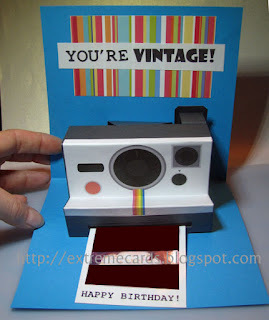 If machine cutting, skip to the next photo and start with "crease the score lines." Black lines are cut lines, red lines are score lines. Cut away grey square. Measure from the top left-hand corner. Score card stock vertically at 2", 4", 6", 8". 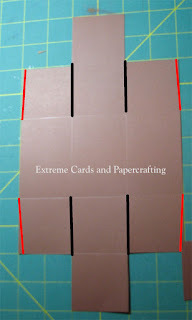 Set aside the 3" wide strip from the right-hand side. 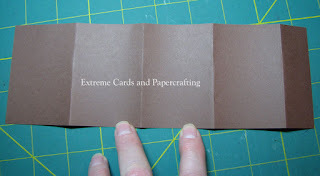 Cut larger piece of card stock horizontally at 3", 6", 9" to make 4 wrappers. Create a 5th wrapper from the set-aside strip. Set the box on the wrapper, open side down. 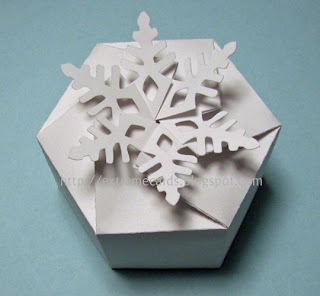 Wrap the wrapper around the box, adhering where it overlaps itself. The box should slide in and out of the wrapper like a matchbox. 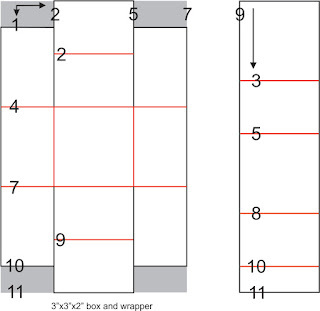 This sheet makes 1 box and wrapper. 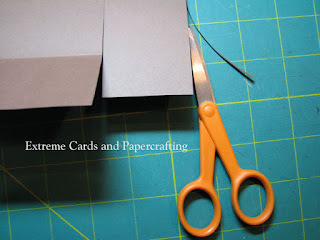 If machine cutting, skip down to "trim the flaps a tiny bit" and start there. Black lines are cut lines, red lines are score lines. 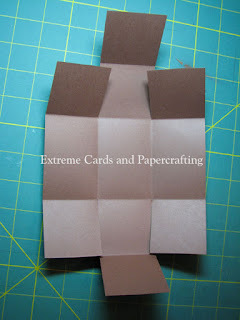 Cut away grey rectangles. All measurements are taken from the top left-hand corner. 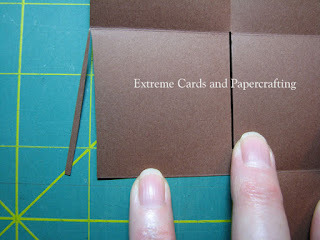 Cut horizontally at 11", cutting off the bottom 1" of the card stock sheet. Discard. Cut vertically at 7" and 9". 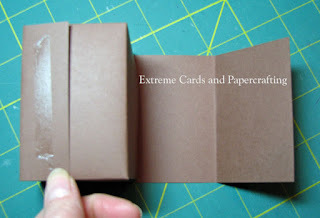 You do not need the 2" wide strip for the box, but save it for later. Score the 3" wide strip at 3", 5", 8", 10". Set aside. This is the box wrapper. Score the larger piece vertically at 2" and 5". Score horizontally at 4" and 7". Score just the center panel horizontally at 2" and 9"
Pencil the cut lines of the corner rectangles, drawing horizontal lines at 1" down from the top, and 1" up from the bottom. Assembly is the same as with the small box. 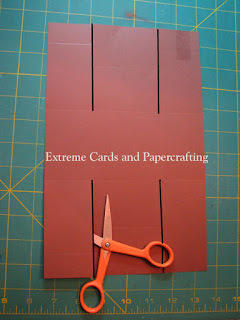 Cut the 4" long slits. 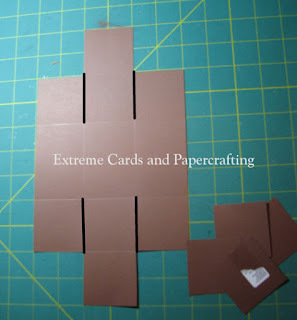 Cut off the corner rectangles. Trim the flaps a tiny bit. Pull in the sides, overlap, adhere. Tuck in the top and bottom flaps, adhere. 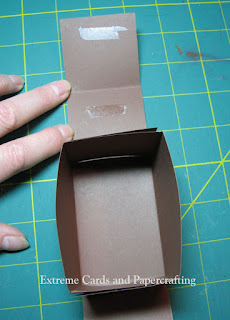 Wrap the wrapper around the box, adhere where it overlaps. Phew, I've proof-read this about 6 times, so please let me know if you see an error. In the next post, how to build the layers of the house!